The Advanced Video Codec High Definition format is high-definition camcorder video format jointly developed by Panasonic and Sony for use in consumer camcorders in 2006. AVCHD is a form of video compression that allows the large data files created by HD video recording to be captured and saved on digital media such as hard disk drives and SD memory cards. AVCHD version 2.0 was released in 2011. The AVCHD format records video at a range of resolutions including 1080p, 1080i, and 720p. Many AVCHD camcorders that advertise themselves as full HD models record HD video at a resolution of 1080i. AVCHD uses 8cm DVD media as the recording medium, but it is designed for Blu-ray Disc compatibility. The DVD format was chosen for its lower cost. The AVCHD format can also use SD and SDHC cards or hard disk drives if your camcorder supports them. AVCHD camcorders record high-definition video on random access media: DVDs, hard disk drives, memory cards, and thumb drives. AVCHD format cameras record long high-definition videos using the MPEG-4 AVC/H.264 format for highly compressed HD recording. An AVCHD video camera connects directly to a high-definition TV or another compatible playback device with an HDMI port. It can also connect directly to a Blu-ray Disc player, Sony PlayStation and to Windows computers running supplied software. Using the AVCHD format, you can burn the high-definition video onto a standard DVD disc. That DVD disc can then be played in a Blu-ray disc player, allowing you to view your high definition video on an HDTV. So even if you don’t own a Blu-ray disc burner, you can still play back your high definition home movies on a Blu-ray disc player or a Sony PlayStation. In addition to video and audio, AVCHD includes media presentation features for menu navigation, slide shows and subtitles. If image quality is your highest priority, use the AVCHD format. AVCHD produces larger files. If file size if your prime concern, use MP4 format, which produces recordings that are high in audio and video quality but only about a third the size of a comparable AVCHD recording. AVCHD is best for creating Blu-ray Disc recordings and for high-definition content to watch on TV. The MP4 format is compatible with Apple QuickTime format which embraces many more devices. MP4 video is easier to copy, move, upload or share on the web. AVCHD isn't suitable for recording movies for play on iPhone, iPad, Android and other similar devices, whereas MP4 is compatible with almost all media players and mobile devices. 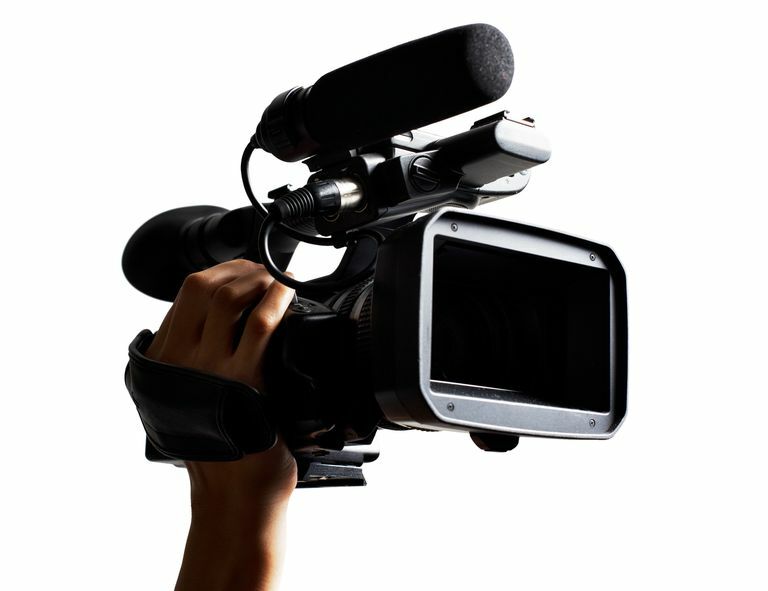 Are All HD Camcorders AVCHD Camcorders? Not all camcorder manufacturers use the AVCHD format, but Sony and Panasonic use the AVCHD format on all their consumer high-definition camcorders. Other manufacturers also use the format.